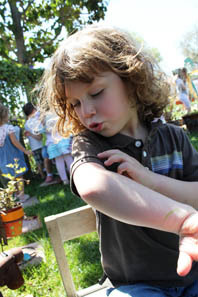 Temple Beth Sholom preschool is the first certified Nature Explore Classroom to be certified in Orange County California. 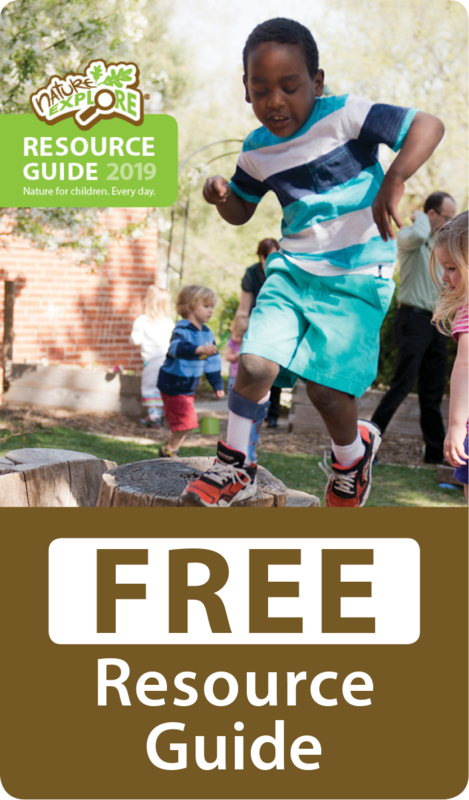 The outdoor classroom is intentionally designed so that the children and teachers who use these spaces can more comprehensively utilize their outdoor spaces as classrooms…full of potential and ready for exploration. There are active areas, quiet areas, places for pretending, places to create and places to expand one’s experiences. 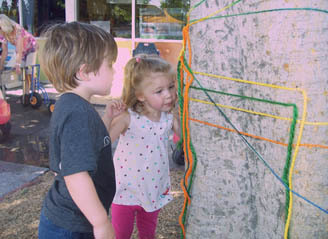 Children enter the outdoor classroom through a “back door” embellished with pictures and other items to let the children know they are entering a special place. Through those doors, a wonderful world of exploration awaits. In the Music and Movement Area, a large marimba, recycled coffee can drums, pots/pans/spoons and multiple chimes are all part of the sound garden created to allow children to enjoy and investigate avariety of sounds. 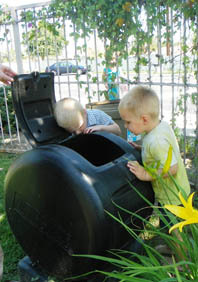 A woodworking table placed in a side yard allows teachers to closely monitor children’s usage of tools as appropriate for their age and developmental level. With a designated garden area containing beautiful plants, flowers and edibles, children can actively assist in not only caring for plants but in building with garden edging, stepping stones and pots. Planter boxes and container gardening all add to the aesthetic beauty and versatility of the space. Marked storage areas are accessible to children and contain pencils, markers, clipboards, yarn and a variety of other materials to help engage children in creativity and learning. 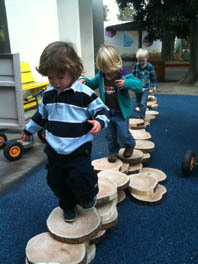 Areas are designed to allow children to build and perform, to run and jump but also to allow for quiet time and reflection. Temple Beth Sholom would like to thank Hap Kellogg and Kellogg Garden Products for their generous donation that added the playground bark to their yard, making it beautiful and safer for everyone.